Use your points to purchase a Qantas Voucher and give someone the gift of travel. Vouchers are available from 9,850 Qantas Points. Win a luxury trip to France with Qantas Wine! Purchase any case of Pommery or Vranken Champagne at Qantas Wine and you could win a luxury trip to France worth over $24,0007. Shop using a Qantas Points earning credit card this Christmas and you’ll earn points twice – once on the gifts you buy and again by using your card8. Disclaimer: * You must be a member of the Qantas Frequent Flyer program to earn and redeem Qantas Points. Membership and points are subject to the Qantas Frequent Flyer program Terms and Conditions at qantas.com/terms. Offers are valid in Australia only until 11.59pm (AEST) 20 December 2018 unless sold out prior, or otherwise advised. 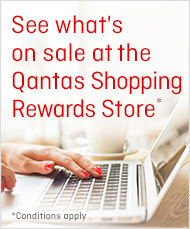 Qantas reserves the right to withdraw or extend these offers at any time. Qantas Points correct as at 1 November 2018. The Rewards and points required may change from time to time and are available while stocks last. View terms and conditions and the relevant product page for full terms and details of offers, including any conditions and exclusions. Disclaimer: 1 Redeemable for Qantas flights departing Australia (excluding multi city, Classic Flight Rewards or Points Plus Pay Flight bookings or optional extras such as additional baggage) and are valid for three years from date of issue. Only one voucher can be redeemed per booking and are non-refundable, except in certain circumstances including under the Australian Consumer Law. Full terms and conditions at qantas.com/voucherterms. Disclaimer: 3 Offers end 11 January 2018 unless sold out prior. Qantas reserves the right to withdraw or extend these offers at any time. To purchase from Qantas Wine, you must be a Qantas Frequent Flyer member, 18 years of age and over and have an Australian delivery address. Liquor Act 2007: It is an offence to sell or supply to or to obtain liquor on behalf of a person under the age of 18 years. Licence Number: LIQP770016736. Disclaimer: 4 Members will not be able to redeem points for, or earn points on additional charges paid to accommodation providers for extras or earn on Classic Hotel Rewards. 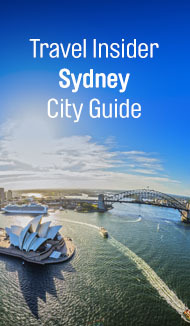 Disclaimer: 5 Qantas Points and Status Credits (where applicable) are earned on Eligible Flights with a Qantas or applicable oneworld® Alliance Airline or Airline Partner flight number on your ticket and may not be earned on some fare types and booking classes. Disclaimer: 6 Redeemable for Qantas flights departing Australia (excluding multi city, Classic Flight Rewards or Points Plus Pay Flight bookings or optional extras such as additional baggage) and are valid for three years from date of issue. Only one voucher can be redeemed per booking and are non-refundable, except in certain circumstances including under the Australian Consumer Law. Full terms and conditions at qantas.com/voucherterms. Disclaimer: 7 Promoter: Qantas Airways Limited. Promotion Period: 12.01am (AEDT) 26 October 2018 to 11.59pm (AEDT) 11 January 2019. Eligible Entrants: Australian resident Qantas Frequent Flyer members (excluding NT), aged 18 years or older. Entry: Eligible Entrants must purchase any case of Pommery, Vranken or Heidsieck Champagne from qantaswine.com. Multiple entries permitted. Draw: 2pm (AEDT) on 18 January 2019 at Level 2, 40 Yeo Street, Neutral Bay, NSW 2089. Prizes: One Major prize of AU$24,660. Maximum total prize pool: AU$24,660. Winner notiﬁcation: By phone and email within two business days of the draw and their names will be published on qantaswine.com/win on 25 January 2019 for 28 days and the Major Prize winner will be announced in The Australian newspaper on 25 January 2019. View full terms and conditions at qantaswine.com/champagne-terms. Authorised under NSW Permit No. LTPS/18/28263, ACT Permit No. TP18/01821 and SA Licence No. T18/1657. Liquor Act 2007: It is an offence to sell or supply to or to obtain liquor on behalf of a person under the age of 18 years. Licence Number: LIQP77001673. Disclaimer: 8 You must be a member of the Qantas Frequent Flyer program to earn and redeem Qantas Points. Membership and points are subject to the Qantas Frequent Flyer program Terms and Conditions at qantas.com/terms. Points earned on eligible purchases only. Card products referred to are not Qantas products and are not offered or issued by Qantas but by the relevant Card Partners. The applicable Card Partner is the credit provider and credit licensee under National Consumer Credit laws. Terms, conditions, fees and charges may apply.